Real Madrid have been in a splendid form of late. Thanks to a 3-1 win at Atletico Madrid los Blancos extended their winning run in La Liga to five games, with the team rejoining their race for the title. Santiago Solari is doing a great job with the capital club and his men are now only six points behind Barcelona, who are leading the chase for the La Liga trophy. Gareth Bale scored in the Madrid derby and we predict that the Welsh superstar is going to return to the starting line-up. Brazilian rising star Vinicius looks unstoppable at the moment and we believe that he is going to pose a big threat for the opposition defenders as well. The Catalan side, on the other hand, suffered a shocking 2-0 home loss to rock-bottom Huesca, with the team extending their losing run in the national championship four games and, taking everything into account, they are unlikely to claim a major scalp on Matchday 24. Striker Karim Benzema came through his youth club Bron Terraillon in Olympique Lyon were he went through all the youth teams. On January 15, 2005 Benzema made his debut for the first team of Lyon that season but did not have much playing time. In the 2007-2008 season he was indeed a permanent fixture in the team and he got his break . He grew that season right into a crowd favorite and clubs like Arsenal, Juventus, Manchester United, Real Madrid and AC Milan showed interest in him. Benzema in 2008 (like 2005, 2006, and 2007) was in the champions with Olympique Lyon and had no interest in leaving France. In 2008, Karim was named best French footballer. After several unsuccessful attempts, finally secured promotion to Primera Division at the end of the 2016/2017 season. The Catalan outfit finished the campaign in second place in the standings, 14 points behind Levante and only two clear of third-placed Getafe. Girona play their home games at Montilivi and the capacity of the venue is 9.286. Speaking of the club history, Girona were founded in the café Norat in La Rambla of Girona on July 23, 1930 and they played their first official game against Colonia Artigas. A number of Spanish coaches were in charge of the team in the past, but it has to be noted that Uruguayan tactician Dagoberto Moll (1965/1966) and Karoly Plattko (1948/1949) of Hungary were in charge of the club as well. The Catalan team wear white shirts with red stripes when playing at home, while the colour of their shorts is blue. 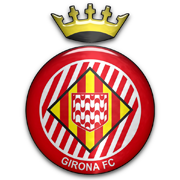 The team’s away kits are blue and black and Sporting Gijon are considered one of Girona’s fiercest rivals.